It can hit quite suddenly. One day you look in the mirror and wonder, “geez, when did I start to look so…old?” If this has happened to you, you aren’t imagining things—nor did you necessarily do anything to bring on signs of aging yourself. Eventually, everyone’s face starts to show their years, and if you’re like many of my patients, you’re at least a little bothered by sagging cheeks, deepening lines and the beginnings of jowls. Yet, you’re nowhere near ready for a facelift. If this describes you, I think you’ll be very interested to learn about Profound non-surgical skin tightening. Profound is the first-ever injectable radiofrequency treatment that can reduce jowling, tighten skin, and smooth facial lines with remarkable predictability and 100% natural results. Profound is the only treatment clinically proven to rebuild elastin, collagen, and hyaluronic acid—all the things that make your skin youthful and firm. It’s your own skin doing the “real” work—Profound is like the ignition that turns on the skin’s rebuilding engine. Essentially, Profound helps aging skin return to a more youthful composition and appearance via wavelengths of radiofrequency (RF) energy, which heat the skin and subcutaneous fat to a very precise, controlled temperature. This heat triggers the natural healing response, causing your skin’s deeper, supportive layers to form new collagen, elastin, and hyaluronic acid. Profound is unique—and works so well—because instead of sending RF through the skin using a wand, it delivers the energy via ultra fine, short needles that are inserted into the skin (similarly to microneedling). I have used it to help lift and tighten skin on the neck and jawline, reduce wrinkles in the mid to lower face, and improve overall skin texture and appearance. No worry about having a “pulled” or overly “done” look with Profound. It’s your own skin doing the “real” work—Profound is like the ignition that turns on the skin’s rebuilding engine. Treatment is quick and convenient. Profound is performed in-office, takes about an hour to perform, and requires only local anesthesia. You can expect optimal results after your first treatment. Many skin-tightening options require multiple treatments to achieve satisfying results—and all the time and money spent can add up. Profound’s unique injectable technology allows us to achieve your desired changes with just one treatment. It’s almost 100% certain that you’ll see improvements. Many other RF technologies won’t work for every patient, because the radiofrequency has to penetrate the skin’s surface on its own. By administering the RF subcutaneously, via ultra-fine needles, Profound delivers the active “ingredient” directly to the tissues that need it, leaving nothing up to chance. It’s safe, predictable and effective when performed by a qualified provider. Profound has an excellent safety profile. Larger studies show no serious adverse events, with mild, temporary swelling being the most common side effect. Because local anesthesia injections are involved, it’s important to choose an experienced provider with keen knowledge of facial anatomy, such as a board certified plastic surgeon, to ensure your safety and great results. It’s a perfect facelift-like treatment for patients who aren’t ready for facelift surgery. In clinical studies, a single Profound treatment achieved 37% of the reduction in jowling and skin laxity of a facelift, without surgery, scars, or general anesthesia. You don’t have to “disappear” from your social or work life for several weeks. Most patients require only about a week of downtime, when post-procedure swelling and bruising is most prominent. While bruises may last for up to ten days, makeup can be applied to cover the area after two to three days. There are very few restrictions on activities. You’ll see improvements in 12 weeks or less. It takes a little time for your skin to replenish its supply of collagen, elastin, and hyaluronic acid, but most patients notice positive changes in their skin and jawline appearance after just a few weeks. You’ll notice a smoother skin texture as well as tighter skin. Because Profound uniquely helps remodel fat beneath the skin, the overall result is enhanced compared to other treatments. Since I began offering Profound RF last year, I’ve been thoroughly impressed by its safety, efficacy, and ease of treatment for my patients. More importantly, my patients have been very happy with their results. If you would like to learn more about Profound skin tightening in Richmond, please contact my office. I will be happy to discuss the treatment in detail, and help you decide if it’s right for you, during a personal consultation. 3 Comments Posted to "10 Reasons to Consider Profound Skin Tightening"
I’m glad you talked about the benefits of skin tightening because it allows us to achieve your desired changes with just one treatment. I’ve been having issues with sagging skin on my face recently, and I think that it’s time for me to consider having skin tightening procedure. It helped when you mentioned that skin tightening can reduce jowling, tighten skin, and smooth facial lines with remarkable predictability and 100% natural results. Thanks for the advice! The best part of your blog for me is when you talked about how radiofrequency injectables can penetrate to your skin’s surface which means that it can help you to improve your targeted skin. My mother told me that she’s interested in finding a cosmetic procedure that she can be sure of improving her skin’s overall appearance. 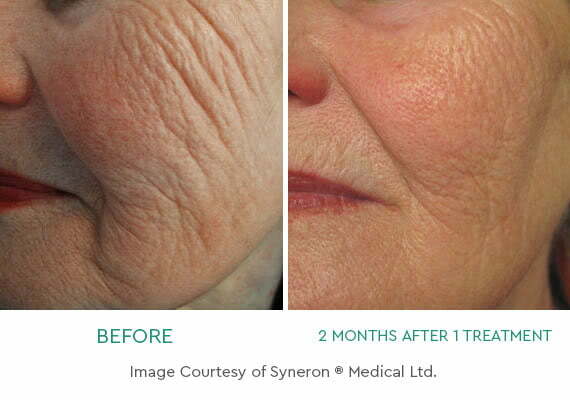 It will make sense for her to consider radiofrequency treatment because it is proven to be effective in giving your skin a major improvement. Thanks! Interesting blog, good information given about why one should consider profound skin tightening and why is there is need for it. Was very useful, thanks for sharing the blog with us. Why is Labiaplasty on the Rise? Can breast reduction make you happier with your body? One patient says heck yes! Can Yoga Help You Feel Better After Surgery?